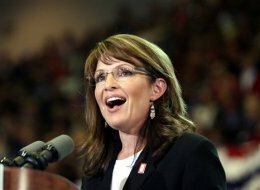 The “lame stream media,” so-dubbed by Tea Party Madonna Sarah Palin, are endlessly fascinated by them. The GOP-approved media, the empire run by Bart Simpson’s Heavenly Father, Rupert Murdoch , endlessly tills the weed-filled soil around their roots. And they bloom, under both Fox’s loving care and the rest of the MSM’s Nervous-Nellie hand-wringing. But don’t get too worried. The Tea Party movement will fail. In fact, it already has. Last summer’s coming of age for the Tea Partiers seemed to reveal a genuine back-lash against the excesses of financial meltdown, free-trade insanity, Wall Street bailouts and long-neglected immigration policies. They had more in common with the anti-WTO protests than they did with some sort of born-again Kristallnacht. But the Democrats were terrified by the Tea Party rallies, especially after the particularly cynical exploitation of the Tea Partiers by their G.O.P. antagonists. Instead, the Dems should have been celebrating. The hijacking of the Tea Party movement went completely unnoticed by the revelers, intent as they were on keeping the government out of their Medicare and Social Security. The Republican Party turned the Tea Partiers into a barricade against universal health care. Even after the Democrats adopted Romneycare and other Heritage Foundation health care “solutions” in the greatest government abdication of the general welfare since, well, since ever, the G.O.P. never let up with its cries of “socialism” and “government take-over.” By the time the barricade collapsed beneath the combined forces of the newly-energized Barak Obama, Nancy Pelosi and James Clyburn, the Tea Party movement had become just a foul-humored front group for the G.O.P. The last great anti-government back-lash, the anti-war movement of the 1960’s and early 1970’s, got co-opted too, that time by Democrats. Young people, distrustful of a government who had lied to them about Vietnam, protested, rioted and even bombed government buildings. The Democrats were largely responsible for Vietnam, just like the today’s G.O.P., in power for all but 13 years of the last four decades, is largely responsible for today’s federal financial meltdown. Still, the Democrats co-opted the anti-war movement, even running the anti-war candidate George McGovern for President in 1972. The movement fizzled, and eventually, so did the war. While some of the anti-war activists went on to other liberal causes, most abandoned the Left completely for safe and solid places among the bourgeoisie they supposedly despised. The two movements had common roots: distrust of government, a feeling of helplessness, a thunderstorm in the zeitgeist, and genuine anger. But once the t-shirt sales started, each was doomed to die from the same virus. Mainstreaming anti-government movements is always terminal. The anti-war movement was way too in love with its middle class roots to stay the course in genuine revolution. The Tea Partiers are way too in love their middle-class government benefits to risk losing them. That’s why the sight of Sarah Palin and John McCain by-goshing their way through the Tea Party rally in Arizona this past week should serve notice on the Tea Partiers that they’ve run out of tea. Someday, the Tea Partiers will talk about fondly about “the movement” and their place in history. But just like the earnest young people of the 1960’s and 1970’s, they will find that place is only a tiny footnote. I fear the 'tea party' protest is simply thinly veiled racism. If so, things are probably going to get a little rough for the next few years.